The annual Uncle Dave Macon Days will kick off in a few short weeks at Cannonsburgh in the heart of Murfreesboro, bringing with it 35 years of old-time music and dance competitions. Taking place July 13-15, this year’s event is on par to honor two legends of the banjo world with their Heritage and Trailblazer awards. The fest will honor legendary pickers Mike Snider and J.D. Crowe. Snider is set to receive the Heritage Award while Crowe will be the recipient of the Trailblazer Award. If you’re new to banjo playing or roots music, then these are two names with which you should definitely acquaint yourself and take note. Both have similar traits in the bluegrass arena, but their paths and roads traveled differ quite a bit. Snider, a native of Gleason, Tenn., is well-known not only for his banjo playing but his popular comedy that he mixes within his performances. With a regular stint on Hee-Haw from 1985-1992, Snider is also a member of the Grand Ole Opry, a feat that is by far not an everyday occurrence. “It was really good. It was fun. They all treated me real good and it was neat to be part of something that I grew up watching,” Snider said in reference to his tenure with Hee-Haw. Snider learned to play by taping the show and practicing the licks. At this time, he was still learning the three-finger style of playing and picked up the clawhammer style, a downward and rhythmic picking motion. “I just came up with my own thing. You can call it anything you want as long as you pay me,” Snider said jokingly about his picking style. It’s this comedic approach that sets Snider apart, along with his playing and interaction with the audience during his performance, and he seems to make it all work perfectly. “I get up on stage without a plan and try to play to the audience that is in front of me. Sometimes there’s more music than comedy or vice versa,” Snider said. With several accolades, Snider maintains a positive outlook and is one who plays music for music’s sake. Trailblazer Award winner, J.D. Crowe is another name that plays music just for the love of it. Starting professionally at age 15, Crowe drew on early inspirations from Flatt and Scruggs. “That was the reason I played the banjo. The banjo was the thing that stood out in my mind,” Crowe said. Crowe, one of the most progressive and influential players during the 1970s, may be best known for his work and his band the New South. From 1974-1975, the group read like a “who’s who” ensemble featuring Crowe along with members Tony Rice on guitar, Ricky Skaggs on mandolin, Jerry Douglas on dobro and Bobby Sloan on fiddle and bass. Though the lineup has changed over the years and at one time included Keith Whitley, Crowe’s work during this timeframe played a pivotal role for the bluegrass genre. While there are several people playing bluegrass and string music these days, Crowe still knows there is work to do. “Right now it’s pretty popular, but maybe not as popular as it should be. The talent is there, a lot of it needs to be refined with the help of others,” Crowe said. 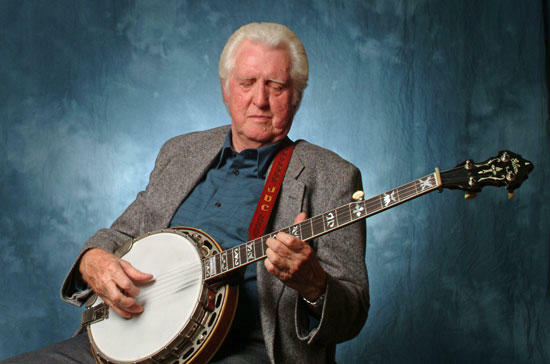 Like Snider, lists of accomplishments follow Crowe around as well, which include membership in the International Bluegrass Music Association Hall of Fame and the Kentucky Music Hall of Fame. “It’s a big honor, that’s probably the top of the ladder so they say. I enjoy the accolades, but I didn’t do it for that. I just love the music,” Crowe said. With several years under the belt, Crowe recently announced that he would retire from touring at the end of 2012 but not from music, as he will have some special performances from time to time. Crowe is set to take the stage at 7 p.m. Friday, July 13 while Snider’s performance will be at 7 p.m. Saturday July 14 and both are planning a good time for all. “We are going to hit the stage and give it all we’ve got like we normally do. I hope everybody comes out. I have some friends there and people I’ve met though the years,” Crowe said about the upcoming festival. With classic wit, Snider said if you don’t expect much then you won’t be let down. But on a serious note, Snider is grateful for the award and appreciative of his time with the festival. “I’m honored that the folks in Murfreesboro would like to give me the Heritage Award for old time music. Guess I’m doing what Uncle Dave was doing. He seemed like a common guy and that’s what I am,” Snider said. For more information on the festival, visit uncledavemacondays.com.